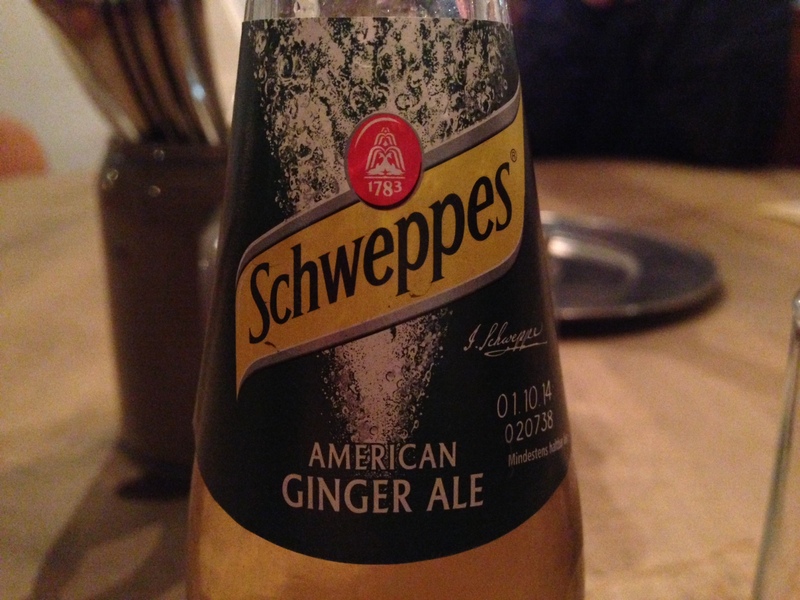 American-Style, Part 2 – Sunshine. Whimsy. Tacos. 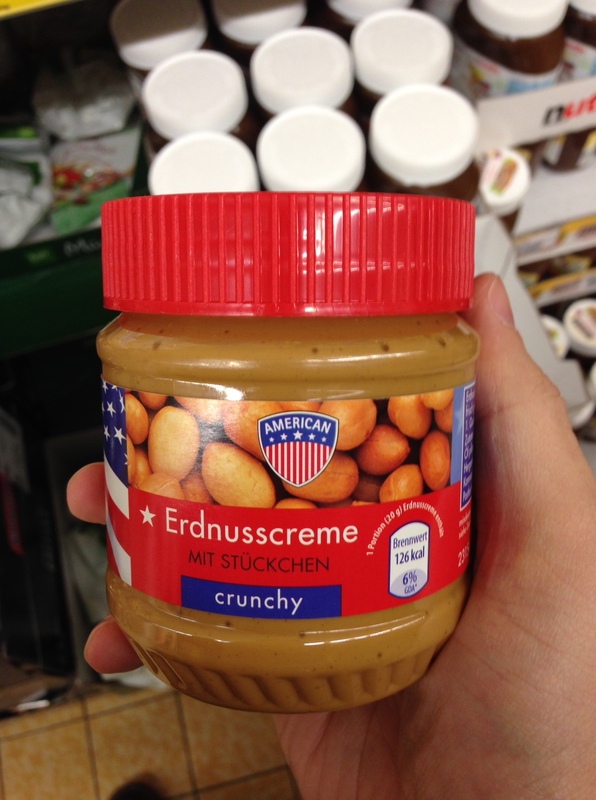 I wrote before about the funny examples I’ve seen of “American-Style” food here in Germany, but I keep finding amusing examples of other “American” food. I once saw a bag of marshmallows labelled “American-style” that was both a color and a flavor that I have never before seen in marshmallows back in the states. Here’s three more that make me giggle a little bit. Have you seen any funny “American-style” foods that caught your eye? I have seen many and tasted some of these American Style foods. It can be an interesting experience. I’ve had endless debates with my German colleagues about “American-style” pizza. As if there’s just one type of pizza in all of the US. I have to admit I love the pizza here but this is very true! I can image your conversations and the same goes for cake. As I scrolled down I kept thinking…I hope he puts up a pic of “American” peanut butter. Seriously? 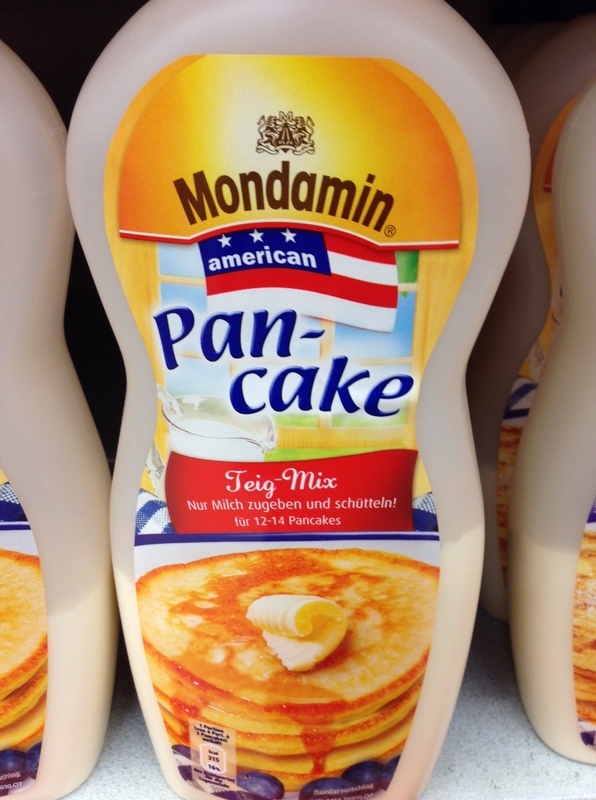 When did American become a brand name? Then there is the Cheesewiz at Galeria Kaufhof in the American food area. I’m told it is one of the most popular American food items. With all that good cheese laying around, Germans enjoy a good squirt of imitation cheese. Eeeegit! I don’t know many people that like ez-cheez after, say, age twelve. I always think the marshmellow fluff spread is funny – and all the American week items, really. I laugh though at menu items the most labeled Texas or American, when clearly they are not. One restaurant here has a Texas breakfast with baked beans, aka an English breakfast. Not sure why they chose to call it a Texas breakfast.